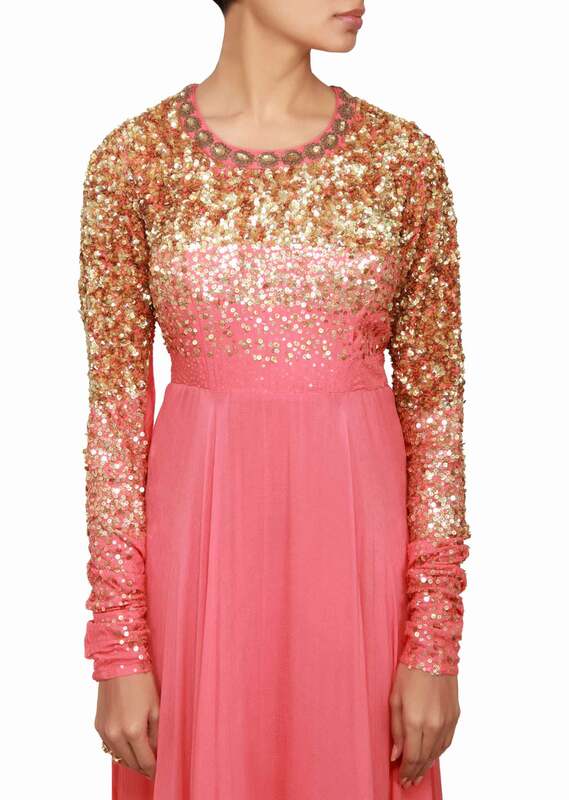 Featuring a sunkist coral anarkali with bodice in coral cotton silk embellished in sequin all over. Neckline is round with french knot embellishment. Full sleeves in coral cotton silk embellished in gold sequin. 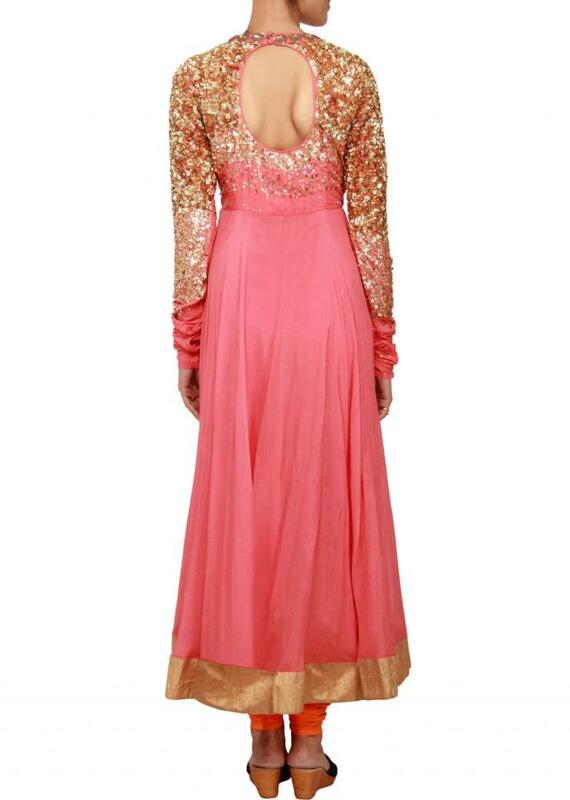 kali is in coral chiffon with floral embellishment in thread, zari and sequin all over. Border is in gold kardana. 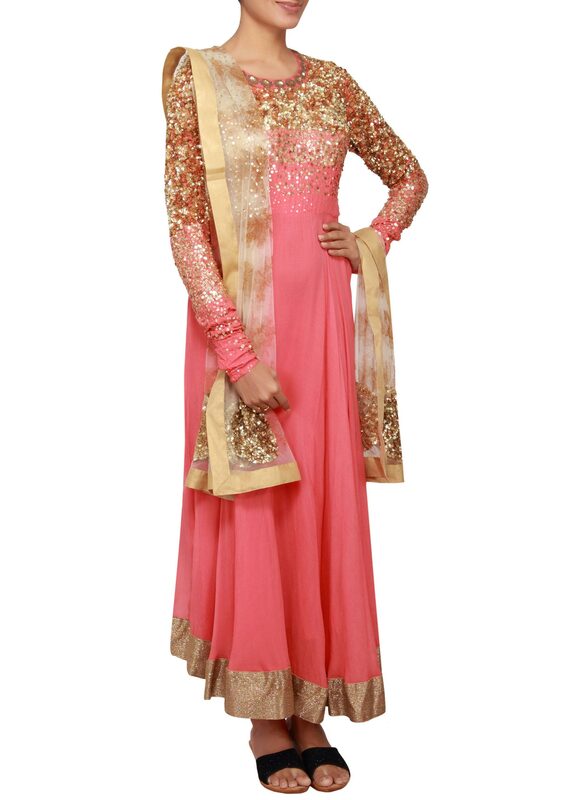 Dupatta is in off-white net with gold floral print embellished in sequin.